A man has been arrested on suspicion of murder following the death of a man on a high street. 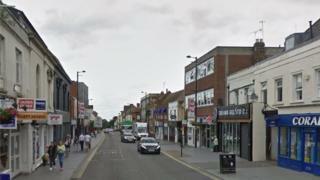 Police were called to reports of the man, who has yet to be named, being found unwell in Brentwood, Essex at 08:55 BST. He was later pronounced dead at the scene, and the death is being treated as suspicious. A 47-year-old man of no fixed abode has since been arrested and remains in police custody. Essex Police has appealed for witnesses to come forward.